Has swine flu impacted your doula work? I’ve been wanting to write about doulas, pregnancy and swine flu (also known as H1N1) for a while now. The epidemic has alternately fascinated and frightened me since the first reports of it last Spring. Lately the hype has died down, although we are in the midst of flu season, the one that world health officials would bring serious deaths and contamination across the US. I’ve noticed an huge increase in public education and awareness campaigns about washing hands, getting vaccinated and staying home from school or work if you are sick. I’ve even seen hand-sanitizer machines installed in public areas like bus and train stations. I’ll leave my thoughts about hand sanitation for another day, but let’s say I’m skeptical about the negative effects (including breeding super-strain versions of viruses). Today, Women’s E-News published a piece about the 28 pregnant women who have died as a result of swine flu so far, so I decided it was time to delve in to the issue. At least 28 pregnant women with H1N1, commonly known as swine flu, died last year in the United States and another 100 were admitted to an intensive care unit through Aug. 21, according to the latest Centers for Disease Control and Prevention, or CDC, figures. Pregnant women are 7.7 times more likely to die from H1N1 compared with the general population, according to an August 2009 editorial in the medical journal Lancet. However, pregnant women who get the H1N1 vaccine get sick less often and their babies are less likely to get sick with the flu than babies whose mothers did not get a flu shot, the CDC says. Those are some scary figures, especially for pregnant women, who are often barraged with information about what could go wrong (see: what to expect when you’re expecting) and lots of fear during that time. Couple that with sensationalist media coverage about how WE ARE ALL GOING TO DIE FROM SWINE FLU TOMORROW and you’ve got an unpleasant situation. WASHINGTON, D.C. (April 28, 2009)—Maternal and infant health advocates are calling on policy makers to take action to ensure that there are enough Certified Professional Midwives (CPMs), who are trained as experts in out-of-hospital delivery, to meet the needs of pregnant women in the event that a flu pandemic makes hospitals unsafe settings for the provision of maternity care. While it’s true that hospitals are a place best reserved for the sick, and most pregnant women are not actually sick, I don’t like adding to the alarmism of the swine flu fears. I understand that the Big Push was just trying to get some press for their issue by hooking to a hot topic at the time. But still. Hospitals all over North America are bracing for the unclear threat that the H1N1 virus may pose this flu season. Maternity units everywhere are contemplating what this may mean to women in labor and certainly newborns who are potentially being exposed to the virus. 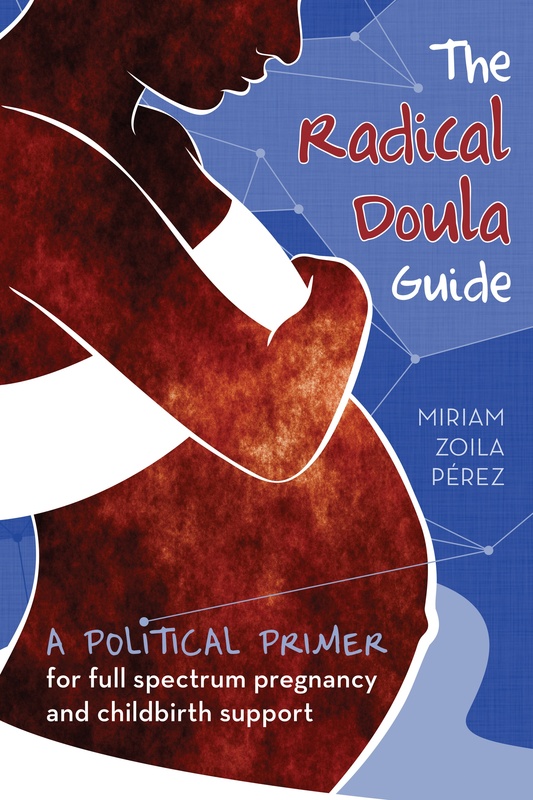 While some hospital systems are making the drastic move to severely limit the number of support people women can have with them during labor, DONA International is calling for a reassessment of the doula client’s rights to have the labor support they desire and deserve. It wasn’t a surprise to any of us that hospitals were using swine flu as an excuse to keep doulas out of birth rooms. While there are a number of hospitals and providers who are supportive of doulas, many are hostile toward them, or dismissive at best. I found that, even in a hospital based doula program. So swine flu has been a convenient excuse to exclude doulas from the birth process. Has swine flu affected your doula work? Have you chosen to get vaccinated, or been excluded from the births of people you work with? Next Article Is a “choice” a bad frame for childbirth? I am actually banned from visiting two of the four hospitals within a half-an-hour of my home, because they are forbidding guests under the age of 25. I had written to the administration after verbal communication with the L&D staff confirmed that I was considered a guest as a doula and would not be allowed to assist my clients in that hospital. I had offered to be vaccinated and then provide proof of vaccination, but they weren’t bending the rules. I suppose it’s their right to control who goes in and who doesn’t, but it did make me a bit pissy. I actually had to have a back-up fill in for two of my births (and give over 50% of my fee to the backup for attending the birth). So now I haven’t taken any clients that are attending those two hospitals for the next couple of months (I’m unsure of when the ban is ending, and I haven’t received the vaccine either. I don’t know if I’ll be offering services to clients preparing to go to either of those hospitals in the future, as well. It’s not that I’ve had bad experiences with either hospital — I’m just a little put off that I’m not recognised as a professional. They certainly aren’t keeping nurses, volunteers, PAs, or any support staff from doing their jobs and supporting pregnant women — just doulas. I’m curious if/how other doulas have been effected.